A thieving employee was caught when his boss found him flogging the firm’s stock on eBay. Liam Howard was today accused by Pemberton company Polywaste of betrayal after stealing up to £3,000 of materials from the business to sell on for his own profit. Company chiefs have been left devastated by his deception especially as they had given him the job after he had been unemployed for a long time. Bolton Crown Court heard that a director became suspicious when he saw items very similar to those his company sold being advertised on the online auction. So as an experiment the boss bought one of the items - a rear exhaust trim from a BMW M4 car bumper - more to set his mind at ease than catch anyone. But when Paypal details came up for the seller it was in the name of valued Polywaste worker Liam Howard, albeit addressed to a friend’s university address in Prestatyn, North Wales, in a bid to avoid detection. When confronted and shown the evidence, the 23-year-old labourer admitted to the ruse, and when a disciplinary hearing took place, he pleaded guilty to a whole series of thefts over a three-month period between June and August this year. It emerged that Howard, of New Street, Pemberton, had been taking a small number of items on a daily basis, sneaking them out of the building on the Lamberhead industrial estate and into his vehicle in the car park. The goods mainly consisted of vehicle grills and trims and amounted to about £3,000 of property in total. Polywaste - a small part of whose business sells on reconditioned vehicle parts to cover the cost of its free waste collection service - sacked Howard and informed the police who arrested him for theft. 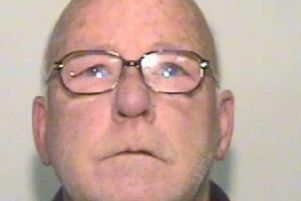 He pleaded guilty to theft when he appeared before Wigan and Leigh magistrates who committed him to Bolton Crown Court for sentence. A judge has now imposed an 18-week prison sentence suspended for two years and gave Howard a community order with a requirement to carry out 120 hours of unpaid work. A company spokeswoman said: “We are extremely disappointed in Liam’s actions, as he had worked for Polywaste for over three years and was, we thought, a valued member of staff. The spokeswoman said that the firm occasionally checks for local items and sellers selling similar products to Polywaste to ensure there are no thefts coming from its business. Any suspicious sales and sellers are then investigated and cross checked.